Portland, OR—As of November 13, 2018, ON1 Photo RAW 2019 is officially available. Version 2019 is the biggest release in ON1s history. 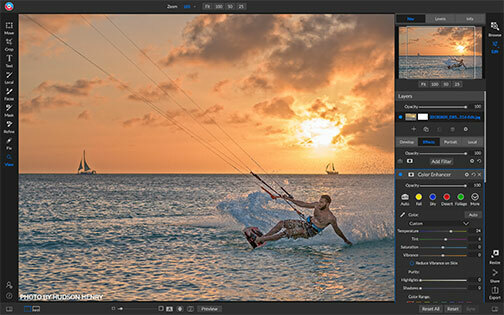 ON1 Photo RAW 2019 software includes massive improvements to the photo-editing workflow and many new features. 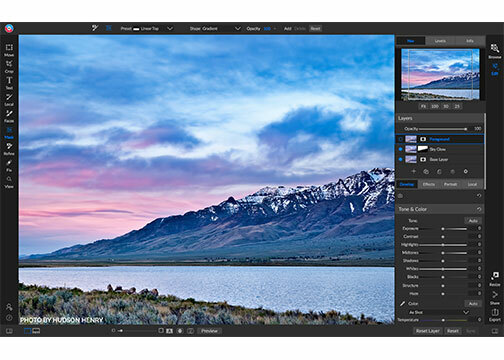 Photo RAW integrates the features of photo organizing, nondestructive editing, layering capabilities, masking and selection tools, portrait retouching, photo effects, text, HDR, automated panorama stitching, as well as photo resizing into one software application. Version 2019 includes significant updates to both performance and image quality. Notable new features include a nondestructive workflow for layers, Lightroom photo settings migration, auto-alignment of layers, focus stacking and a new portrait module. Also added are a new text tool as well as digital asset management updates. ON1 Layers is no longer a separate module. Instead, Layers will be accessible within the nondestructive workflow inside of Develop and Effects. 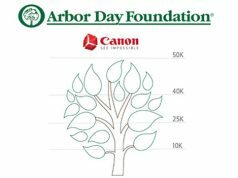 This allows for creating or editing multilayered files, including RAW files, and keeping the nondestructive settings for each photo layer. Users can also move, size and mask each layer. Moreover, this new concept enables each layer to have its nondestructive settings—all the way back to the original file. In addition, when working with RAW files, adjustments like exposure, highlights, shadows and camera profiles can be processed using the RAW data in a layered photo workflow. In addition, users can also combine multiple photos as layers, then automatically align them based on image content. This will make it easier to mask and blend them together. Moreover, with new nondestructive live layers, users can combine other photos, text or exposures with their HDR photos. In addition, they can use the masking tools to combine multiple HDR renditions. New AI-powered algorithms give users the ability to transfer Lightroom edited photos, keep the nondestructive settings and move them into ON1 Photo RAW. Furthermore, the updated Lightroom migration tool transfers almost every edit made in Lightroom. They include RAW processing, crop, retouching and local adjustments as well as folders, photos, albums and metadata. The new software automatically blends a series of photos at different focus distances to increase depth of field. Also, users can adjust focus in real time, just like changing the focus on a lens. ON1 also added dedicated film grain, curves and color adjustment filters to Effects. This lets users add film grain to color photos as well as make targeted color and tone adjustments faster. There’s even a new filter selector to search for filters, learn what they do and view a sample before adding them. Additionally new features include: an AI masking tool that enables users to identify areas of a photo to create a selection or mask, and the AI technology detects the subject matter and automatically creates a mask; the Portrait module automatically detect faces in photos, so they can be retouched; a text tool for use when creating posters, add a byline or add editing annotations; control over font size, color and position that can be saved as a preset; a master keyword list that lets users see every keyword they use in a single, searchable list; improved local adjustments; and added support for the latest cameras and lenses. ON1 Photo RAW 2019 is available to preorder at an introductory special of $99.99 for a limited time. Previous owners of any ON1 product can preorder for $79.99 for a limited time. In addition, ON1 Photo RAW 2019 is available as part of an ON1 Plus Pro membership for a limited time for $129.99/year. It regularly costs $149.99/year. ON1 Plus Pro includes a perpetual license of ON1 Photo RAW along with post-processing and photography education from professionals. These pros include Matt Kloskowski, Hudson Henry and Tamara Lackey. A single purchase of ON1 Photo RAW 2019 includes iOS and Windows installers as well as activation for five computers.